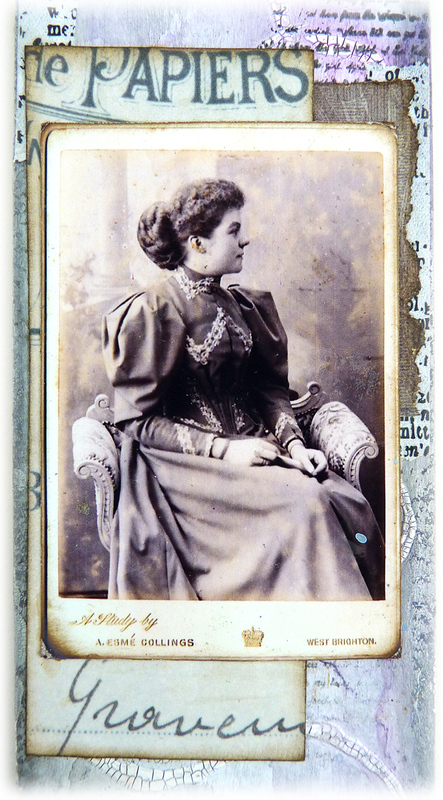 .... and I dug into my own collection of vintage cabinet cards to find this one. 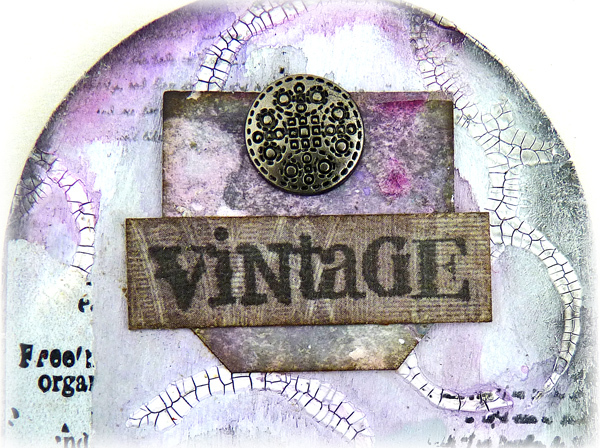 If you have seen some of my work you will know I love vintage and mixed media and I often combine the two in my projects. I also used one of the new long stencils that go with these cover tags and fit them perfectly. 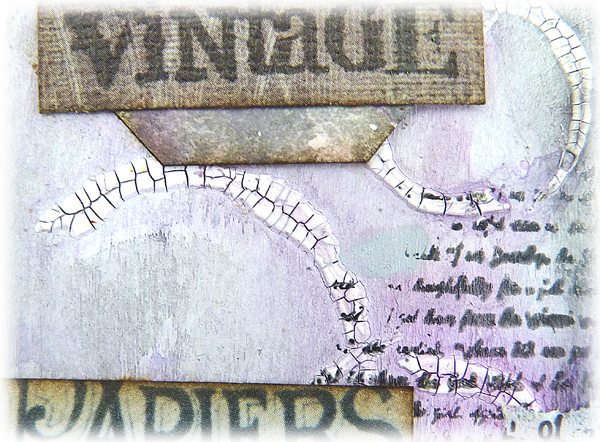 The circle design and crackle paint look fabulous together. 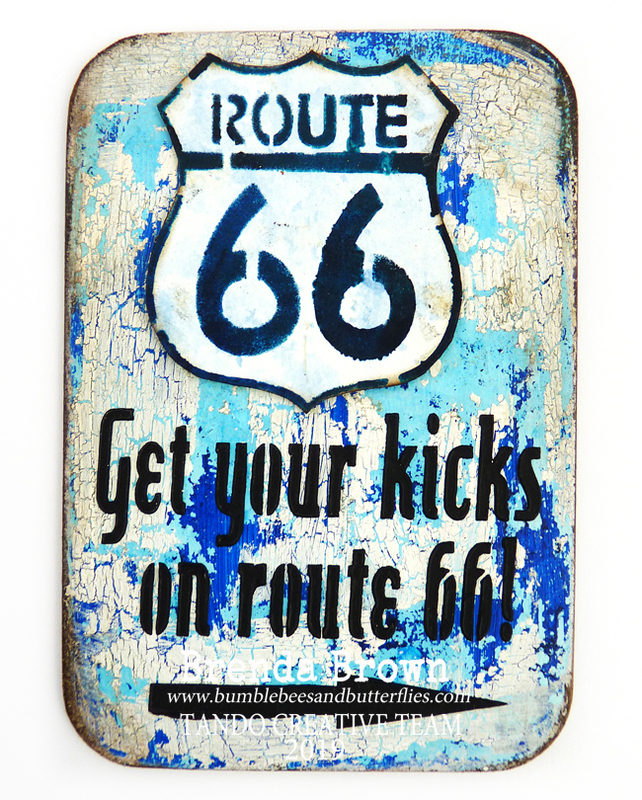 If you would like to see more details you can find a step by step and more photos over at Bumblebees and Butterflies. I can't wait to see how my teamies have interpreted the theme this week, so keep popping back to see what they have been making as well. Anything Goes Week - Face your Fears by Nikki K.
Inspirational Play Days Week 4 - Fiona Randall. Dark and Moody with Fiona.